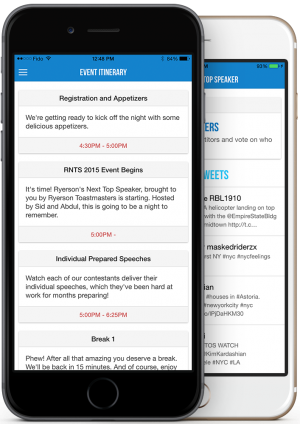 What makes apps for events so powerful? Find out how apps can combine social media, digital itineraries, photo sharing and more to create an incredible experience at your event. 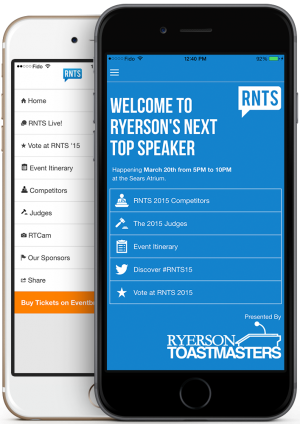 Enhance the event experience with mobile apps. Eventerac mobile apps feature a specialized digital itinerary for your events. Everything from the event schedule to live sessions with speakers can easily be accessed by your attendees. And with built-in alerts for their mobile device, they’ll always be in the know and won’t miss a thing. Digital itineraries are searchable so your users can easily find what they are looking for. They can also be filtered by time, item or even speaker. Get a digital itinerary today to make it incredibly easy for your attendees to get around your event. Did you know 90% of smartphone users access social media from their device? With mobile apps you can harness the power of Social Media to keep attendees engaged and connected with your event. 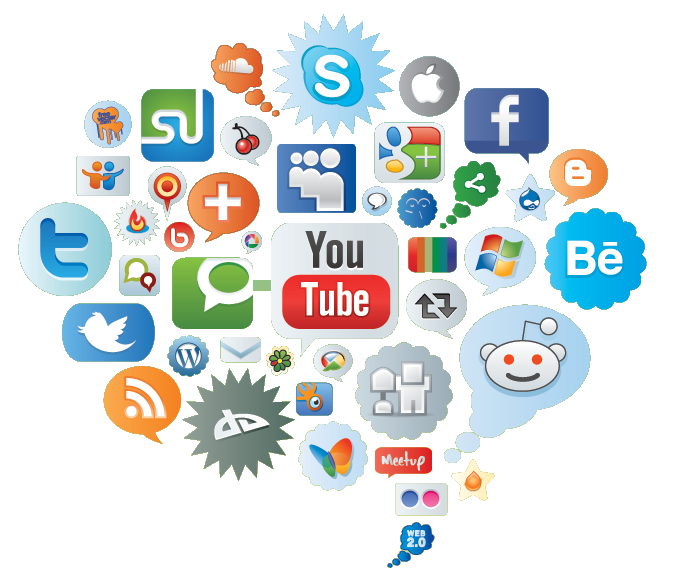 Social media is one of the most powerful tools for creating an interactive event experience. Contact us today to find out more. Photo Sharing has become incredibly popular in recent years, especially at live events and conferences. People love taking and sharing photos, and Eventerac apps make it incredibly easy. With your own custom-built camera app you can get users to take photos, enhance them with branded picture frames, logo watermarks or hashtags, and instantly share them on a variety of social networks like Facebook, Twitter, Instagram and more. Eventerac apps are designed from the ground-up to seamlessly integrate into your brand identity. Each app’s user interface is designed with your brand’s colours and logo. Layouts are specific to the features you want and make the app easy and intuitive to use. We can also design a beautiful app icon for your app that looks great on a variety of platforms and devices. If your app stores sensitive user data we always develop with security and privacy in mind. Any changes you make such as itinerary updates or sponsor lists are kept in sync with all app users. Get your attendees where they need to be with location info and a live map for your event venue. Ready to get started with your own mobile app?